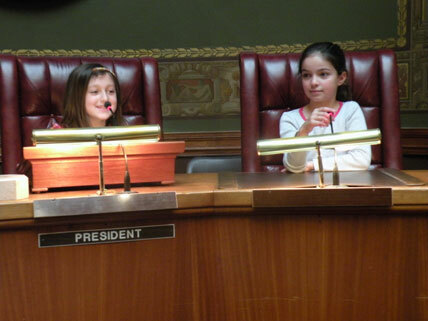 D. Lippman, photographer for the Newark, N.J., Press Information Office, took this photo of city employees' children Sophie Lipshutz (left) and Hope Zamora (right) presiding over a pretend city council meeting during the city's "Take Your Child to Work Day" on April 28. D. Lippman, photographer for the Newark, N.J., Press Information Office, took this photo of city employees’ children Sophie Lipshutz (left) and Hope Zamora (right) presiding over a pretend city council meeting during the city’s “Take Your Child to Work Day” on April 28. Nine children of the city’s Law Department staff came to city hall to learn about municipal government. 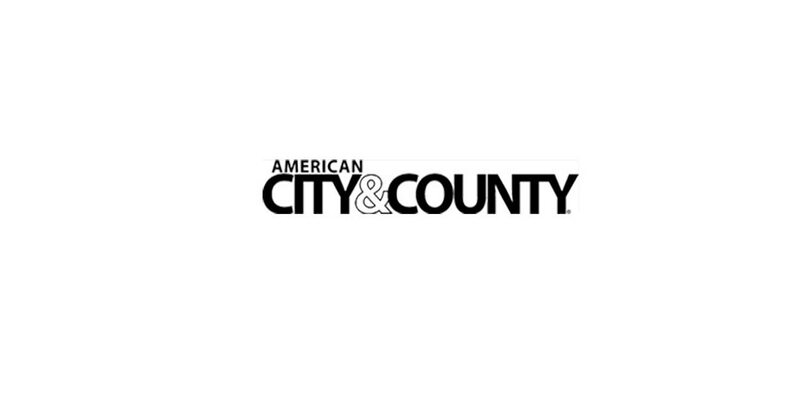 The students drafted a municipal ordinance banning the use illegal drugs in the city, passed it, and presented it to Business Administrator Julien Neals for review.